A couple of weeks ago, I took to social media to see what questions you had about beauty. I wanted to know what your concerns were. I wanted to know what you struggled with and what you wanted to learn more about. And why did I want to know that? So I could help answer your beauty questions and make your beauty routine that much easier. Q: What product would you recommend that has good coverage, but doesn’t feel heavy? A: With the thousands of foundations on the market, there are various possible answers here. 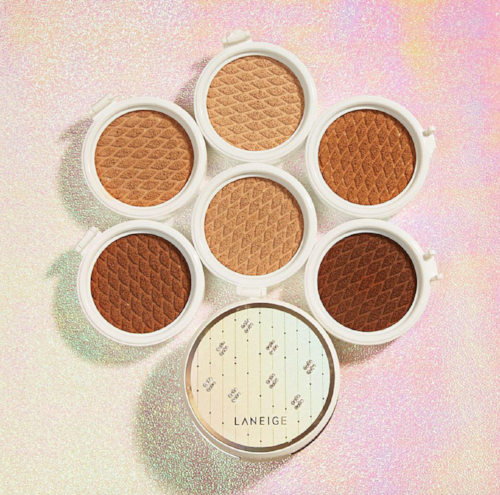 But two products that hit the nail on the head and seem to work for most skin types are the Laneige BB Cushion Pore Blur and Wet n Wild Mega Cushion Foundation. Laneige is more of a luxury item pricewise. It is a semi-matte formula that absorbs oils, blurs texture on the skin, and feels light as air. It contains an SPF of 50, and keeps your skin looking fresh all day. Plus it has some of the best coverage of any BB type products I have ever seen. And if you do have drier skin, Laneige launched a Hydra Radiance version to boost the glowness. But if you are on a budget, a great alternative is the Wet n Wild Mega Cushion Foundation. It has a lower SPF, and is just as lightweight on the skin. It offers similar coverage to the Laneige and also comes in a convenient compact for on-the-go touch ups. Q: What are the best cream eyeshadows? A: Cream eyeshadows are all the rage, especially during summer when powder products take a backseat. There are potted versions, ones that come with a doe foot applicator, and some that look like crayons. But the best I have ever tried comes from Sephora. The Sephora Collection Colorful Shadow & Liner comes in 30 vibrant shades from neutral to neon. They are easy to use, are super pigmented, and stick around all day. They are ideal to use as a base underneath powder shadows or on their own for a wash of color all over the lid. They even have multiple finishes like glitter, matte, and shimmers, and the texture makes it easy to blend. So whether you want a glittery gold, a lime green, or a lovely lilac this collection is perfect. Q: What are the best eyebrow pencils for dark hair? A: With the comeback of fuller brows nearly every brand has launched their version of a brow pencil. But not every brand has released a full shade range. For those with deeper hair it can be difficult to find a good balance between black and brown. Black can look too harsh and brown can look too warm. 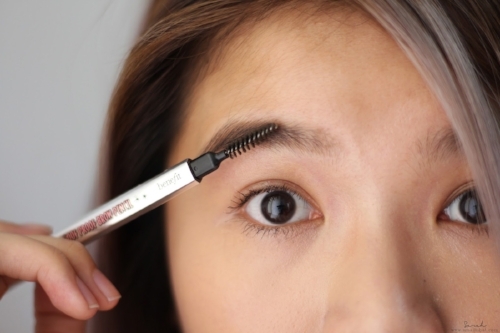 But thankfully, Benefit launched their Goof Proof Brow Pencil. There are 8 shades of this creamy yet waxy and waterproof pencil, and you are sure to find the one for you. For those with darker hair, cool soft black and warm black-brown are all stars to blend in perfectly with your natural color. Q: Do you have any bronzer recommendations for medium skin tones? A: Bronzer can be finicky. The shades can easily go too orange and muddy or be too grey and cool. And if you are in a medium to deep skin tone range, you may not be able to find a shade that even shows up on you. The Body Shop Honey Bronze Bronzing Powder is perfect for all skin tones, because it comes in multiple shades from light to deep. And they all have the perfect balance of warm and cool, plus they are matte, so they can be used to warm up the face or contour. Not to mention, these powders blend seamlessly so you will never have any weird streaks on your cheeks again. Q: What are the best hair products? A: This is a pretty broad question as nearly everyone’s hair is different and requires something unique. But one line that seems to be doing it right from every angle is Kristin Ess. This brand has everything from shampoo to dry shampoo to hair spray and styling mists, and they are all beneficial to the hair. With technology that actually helps to protect and seal your hair to be healthier, all their products have an extra bonus. Plus what makes Kristin Ess products really stand out is that they are sulfate-free and cruelty-free. They also have options for those with more thin hair, frizzy hair, processed hair and more. There is something for everyone in this line. 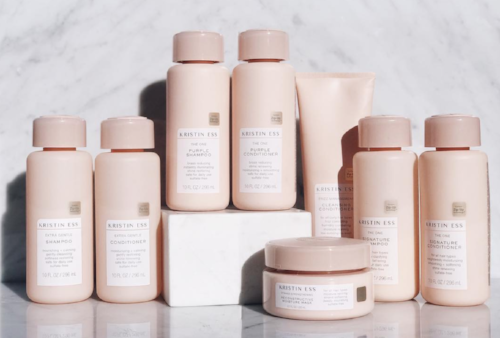 From their minimalist packaging to their potent formulas, Kristin Ess has it all. Q: How do you deal with under eye bags and dark circles? A: You are in luck! There is an entirely dedicated post about this in the OPENLETR archives; Dark Circles? Brighten Them Up. But for a quick little summary, the best thing you can do is treat that area with a potent under-eye cream or gel. This will be a game of trial and error, but while you are waiting to deal with your dark circles at the source, Benefit Bo-ing Brightening Concealer is your best bet to combat darkness. This peachy color correcting formula comes in three shades and helps to counteract any bluish or purple tones beneath the eyes. This formula is also emollient and moisturizing, so you should not have to deal with creasing, dryness, or cakiness under the eyes. Q: What are some natural skincare remedies? A: It really depends on what you’re looking for. Moisture? Treating acne? Anti-aging? There are so many remedies for different issues all over the internet. OPENLETR has featured plenty of them in the past. One of my personal favorites that I think everyone can benefit from is to soothe a bad breakout. We all get them eventually. Whether it is bad cystic acne or that one zit that shows up and takes ages to fade, we all have to endure it. But it does not have to be as much of a hardship as it has been in the past. 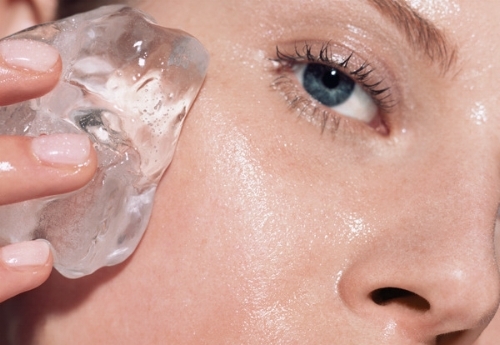 If you have a pimple that is painful, icing will help to reduce swelling, pain, and even redness. Of course you do still have to treat the spot with something like the Mario Badescu Drying Lotion overnight, but the ice will make a world of difference. Just like using a cold spoon to soothe under eye puffiness has been a remedy for ages, this helps to calm down irritated and inflamed skin. Hopefully you got all the answers you were looking for. And if you like this more detailed type of Q&A beauty post be sure to share it out on social media and leave a comment letting us know what else you are curious about in the land of beauty.